Singapore is one of the world’s top expat destinations, with as many as two in five of its 5.4 million residents hailing from international shores. Singapore and Australia enjoy a close trading relationship and with English Singapore’s official language (alongside Malay, Mandarin and Tamil) many Australians find moving there a relatively easy transition. Singapore is by far the most popular Asian country with Australian expats, thanks to its excellent quality of life, global economy and tropical climate. The ‘Little Red Dot’ was occupied by various countries, from Britain to Japan, before gaining independence in 1965. The result is a melting pot of people, cultures and cuisines, making Singapore an intoxicating place to set up home. Exploring the diverse districts, from Chinatown and Little India to the glamorous marina areas, is a source of endless surprises. Singapore is a place of fascinating contrasts. The island boasts a glittering skyline of modern skyscrapers, yet is also home to lush rainforests and some of the world’s most incredible gardens. It’s a place where you can visit a colourful street market or a legendary super-mall; a traditional temple or Universal Studios. It’s also ideally placed for discovering the rest of Southeast Asia – what’s not to love? Singapore’s economy is renowned as one of the most highly developed in the world. Residents enjoy the third highest GDP in the world and unemployment is low at 2.1%. Following the global economic crisis of 2009, this ‘Asian Tiger’ has seen some slowing of its economy– but is still performing well. Singapore is a hub for the financial and digital sectors. Service and manufacturing jobs have taken a hit in recent years, but technology and e-commerce are booming. 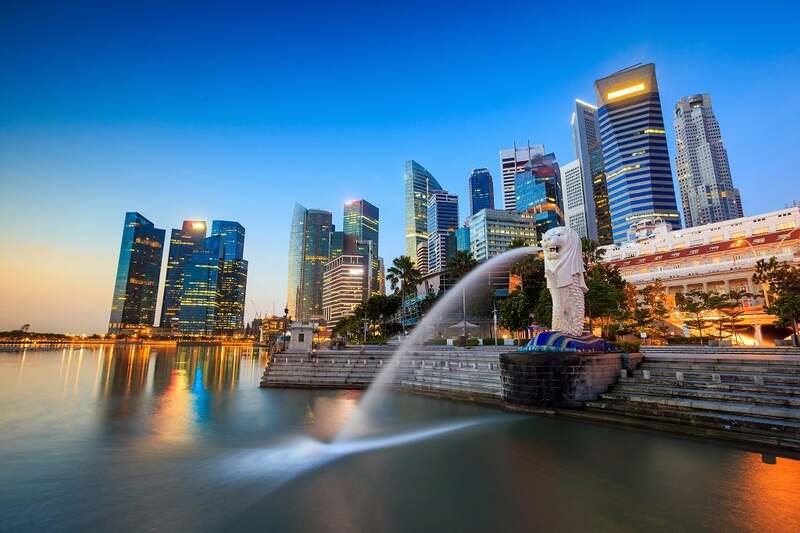 The government is looking to establish Singapore as the Silicon Valley of Asia and as a result there has been a steadily rising demand for employees for the country’s growing number of start-up firms. Digital marketers, data analysts, and software and programming specialists are all in a strong position, as are regulatory, compliance and cybersecurity specialists as companies seek to pair digital innovation with strict security measures. Skilled contractors and salespeople will also find a large number of job opportunities in Singapore. Annual holiday entitlement in Singapore depends on your length of service. Entitlement starts at seven days a year in your first year of employment and rises to 14 days a year after eight years of service. You are also entitled to 11 paid public holidays per year. Singapore is densely populated so housing can be pricey. Space comes at a premium and most accommodation is found in high-rise condos or apartments. Rents in Singapore are roughly comparable with those in Sydney, Australia’s most expensive city, at an average of A$2,680 for a one-bedroom city centre apartment. On the plus side, you’ll find that many developments come with on-site pools, gyms and playgrounds. If you prefer to buy, the average apartment price ranges from around A$23,000 per square metre in the city centre to around A$11,600 in the suburbs. Per square metre, prices look even higher than in Sydney – but bear in mind apartments are usually smaller in Singapore. Singapore has a world-leading education system with plenty of excellent free state-funded schools as well as fee-paying international schools. English is the primary language of teaching in Singapore schools, which makes for an easy transition for Australian children. Bilingualism is highly valued and all children learn a minimum of two languages from as young as the age of three. Primary education in Singapore begins at the age of seven and children are streamed according to ability from their fourth year of primary school. In their sixth year, all pupils take national exams, the results of which will determine the kind of secondary school they go onto. Secondary education is divided into three different streams: Express, normal (academic) and normal (technical). Students placed in the express stream are prepared for the Singapore-Cambridge O-Level exams after four years of study. Students in the normal (academic) stream will sit their exams after five years of study, while students in the normal (technical) stream study more vocational subjects, such as design and technology. Australian citizens do not require tourist visas to visit Singapore. However, if you plan to live, work or study in Singapore you’ll need to apply for the relevant visa. Once you have held an Employment Pass (or work visa) for at least 6 months, you can then apply for the right of permanent residence if you wish. This will need to be approved by your employer and in practice most people do not apply until they have been living and working in Singapore for a few years. You can apply for your whole family, but do bear in mind that boys with permanent residence will have to register for national service at the age of 16 ½. In Singapore this means they will have to serve two full-time years of mandatory service, followed by an additional 40 days per year until the age of 50 (40 in some cases). the spouse of a Singapore Citizen who has been married for at least 2 years, and has been a Singapore Permanent Resident for at least 2 years. A non-refundable processing fee of A$93 (or S$100) is charged for every application submitted. It takes around 6 to 12 months to process citizenship applications. If your application is successful, you’ll need to pay an additional A$65 for your Singapore Citizenship Certificate. New citizens who are above 15 years old must also obtain a pink National Registration Identity Card at a fee of A$9. You may also have to renounce your Australian citizenship, which will cost an additional fee of A$205. Singapore may be small but it is crammed with things to see and do. Culture vultures will love exploring Singapore’s museums and galleries. The National Museum of Singapore is a vibrant place to start, with a vast collection of artefacts. Other highlights include the National Gallery Singapore, the Asian Civilisations Museum, the Peranakan museum and the Changi Museum –and that’s just scratching the surface! Families have an endless choice of fun destinations including Singapore Zoo, Universal Studios, SEA Aquarium and the cutting-edge Science Centre Singapore. For a thrilling birds-eye view of the island, scale the heights of the Tiger Sky Tower if you dare. Singapore is home to many beautiful nature spots – from the man-made to the wild. Visit the colourful National Orchid Garden, admire the billion-dollar Gardens by the Bay or venture into the Bukit Timah Nature Reserve for a taste of the jungle. Singaporeans are a nation of serious food lovers. Their rich cultural history is reflected in the mouth-watering array of international cuisine on offer. Discover authentic Chinese, Malaysian, Indian and Peranakan cuisine – or dive headfirst into the smart fusion restaurant scene for an amazing (and spicy) culinary experience. Singapore’s street food is among the best in the world so make sure you head to the famous hawker centres to sample dishes like chilli crab, laksa noodle soup and oyster omelette. Tiong Bahru Market – for the best traditional hawker food. Singaporeans like to work hard and play hard – and boy do they have an exciting playground to do it in! Rooftop bars are big here, perfect for enjoying a cocktail what you watch the sun set behind the skyscrapers. After dark the city comes alive, as revellers head to out to live music venues, night markets and a buzzing network of clubs. Orchard Road is home to some of Singapore’s best nightlife, with laid-back pubs and bars among the mega shopping malls. Clarke Quay has a more glamorous scene that is popular with the after-work crowd. Here you’ll find plenty of lively places from alfresco eateries to all-night clubs. Chinatown is the place to go for Singapore’s alternative and LGBT-friendly nightlife. Don’t be deterred by Singapore’s conservative anti-gay laws, you’ll find a thriving scene with some great bars and clubs. Tantric Bar and Taboo Club are two of the best.